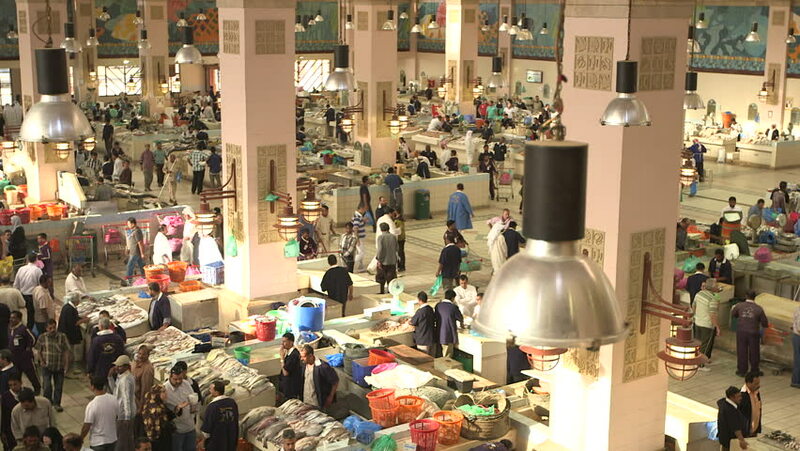 Kuwait - 2013 - Al-Sharq Fish Market. Wide high angle shot of the central hall of the market. The hall is divided into stands displaying fish and seafood. 4k00:12New York , April 5, 2019: The scene on makeup floor of Macy's department store. hd00:18BANGKOK. THAILAND - CIRCA FEB 2015: Electronic gadget kiosks at the bottom floor of a big shopping mall in downtown. Bangkok. Thailand. 4k00:14Taipei, Taiwan - January 08, 2019 : Top shot of people enjoy food inside Chinese restaurant with 4k resolution. hd00:17BELDIBI, TURKEY - JUNE 3: Tourists visit Turkish trading shops on June 3, 2012 in Beldibi, Turkey. hd00:11KIEV, UKRAINE - MARCH 24, 2014: Bessarabskiy indoor Market (Rynok) located in the center of the city on the Bessarabska Square.